Oklahoma Connection | Freede came to Oklahoma with her husband in the 1950s. Josephine Freede was a native of Plymouth, United Kingdom, and became a U.S. Citizen in 1954. Studying for her citizenship test sparked an interest in politics and civic work that remained with her throughout her life. The legendary Oklahoma volunteer and philanthropist Josephine “Jose” Freede received her Charter Society in Physiotherapy Degree before training at the Robert Jones and Agnes Hunt Orthopedic Hospital in England. It was at the hospital where she met her husband, Henry, an orthopedic surgeon. She came to the United Sates in 1950 and the couple was married in New York City. 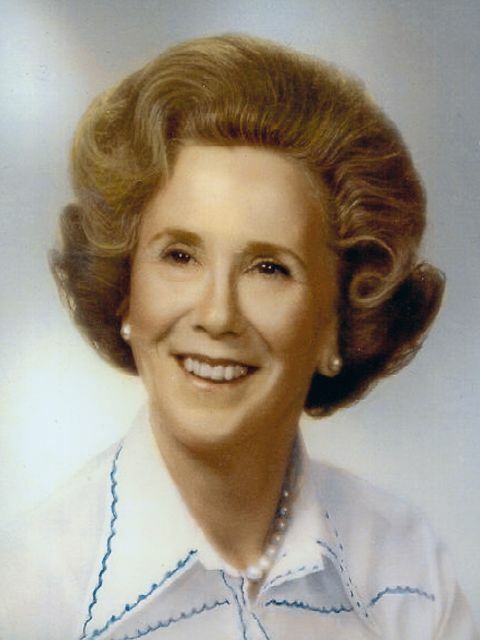 Upon the family’s arrival in Oklahoma City, Freede began her civic work on the boards of many organizations including the Oklahoma City Charity Horse Show, Allied Arts, Oklahoma City Republican Women’s Club, and served as president of the University of Oklahoma Mother’s Asssociation. Freede was also a member of such groups as the Downtown Oklahoma City YWCA and the Western Heritage Awards Committee and soon became known as “the million dollar volunteer.” Her outstanding work as a fundraiser and tireless philanthropist has made possible the Henry J. Freede Wellness and Activity Center at Oklahoma City University and the Freede Theatre at the Civic Center Music Hall in Oklahoma City. Freede has received numerous awards and recognitions, including two honorary doctoral degrees. See pictures of Josephine Freede and other media HERE.